Tag Archive | "OBX Turbochargers"
So many times I have seen on Ebay “OBX” popping up every time I do a search that relates to the work “Turbo” so I decided to look into them. To start off with OBX us a USA racing company, all there Turbochargers are designed and balanced in the USA, the rest is pretty much done in ASIA. 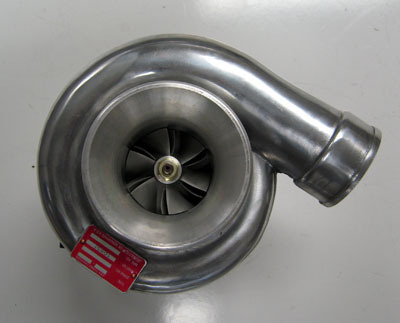 The turbo we are looking at today is called the OBX TB25G right after hearing the name we assume it would be similar to the T67 25G and guess what your right. Very similar in spec to the with a 60trim compressor and the unit is rated at 550HP. The reliability of these unit have been questioned in a number of automotive forums but by no means as dangerous as one of KKR’s exploding compressor wheels. It appears that from factory the housing, wheels, shaft is all great quality and will hold nicely up to its rated threshold but from factory balancing is not 100% but for a turbo that is not a Garrett or Turbonetics it is very similar. This of course leads to prematurely worn bearings and leaky seals, the best work around for this is to send it off to a reputable turbo specialist like Roto Master in Melbourne and have them do a rebuild and balance which would include Garrett / Greddy grade bearings and seals along with a good balance. To sum it it up I rate this hair dryer at 7.0/10 because at the end of the day for the $500-600 that you will pay for an OBX T3 plus the $150 – $300 for the rebuild and balance your getting a Greddy T67 25g Grade Turbo for $700 ~$900 that is good for up to 550hp, beats spending the $2000+ if you ask me.